Please can you tell me whether these wipes are disposable down the toilet. Thank you. These wipes are not recommended to be flushed down the toilet. If you are looking for a flushable wipe I would recommend our Flushmee Flushable Wipes. 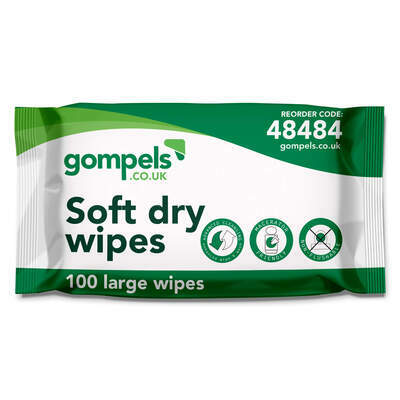 Please can you confirm what these wipes are made of? A handy resource for care and residential homes, our Large Dry Wipes have been designed to support care workers. Suitable for both frequent washing and drying, each cloth has a large surface area allowing for a speedy cleansing experience. The durable construction is highly absorbent while maintaining a strength while wet. The soft texture is suitable for even the most sensitive of skin and each of these large dry wipes will lather up well with both soap and water.